I got in the car in order to leave for work. I had my laptop in its bag and my giant coffee mug. I opened the driver side door to throw them in, then went around, got in the car and drove to the office. 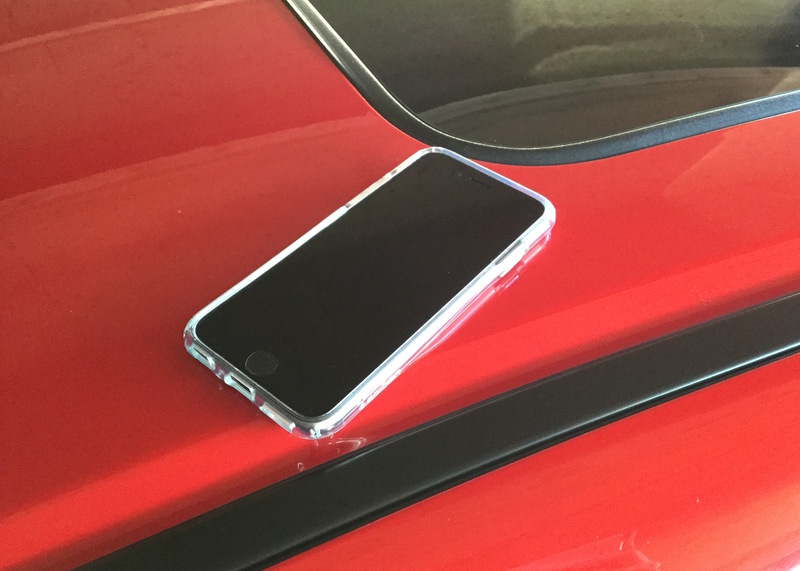 As I was driving, I noticed my phone wasn’t in my pocket and I couldn’t see it. However, thanks to the magic of Apple Watch I could see that it was in range. So I dropped it and it’s under the seat or something. On the first stoplight I used the nifty “make iPhone ping” feature from the watch. I could hear it, but faintly. So maybe it’s under the rug or something? I couldn’t find it. Second and third stoplights were the same. So I decided to wait until I park at work. When I parked, I opened the door so I can better crawl under the seats. Ping – and now I could hear it loud and clear. What the hell? 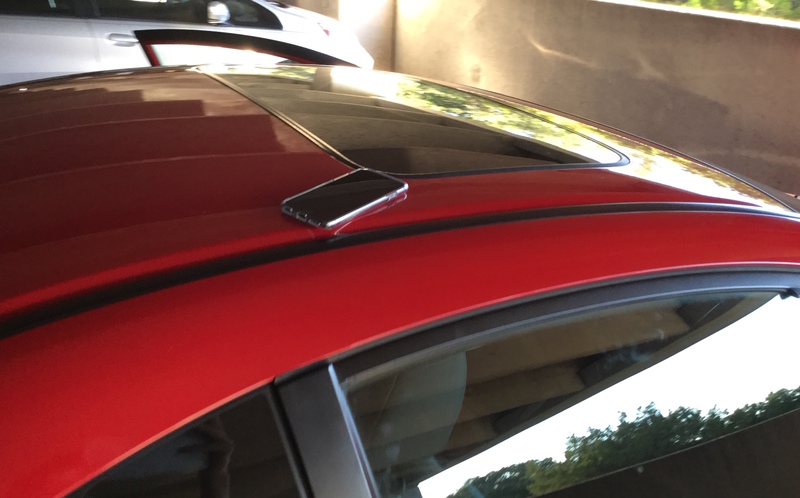 I never added “good car paint grip” to the list. Got lucky. 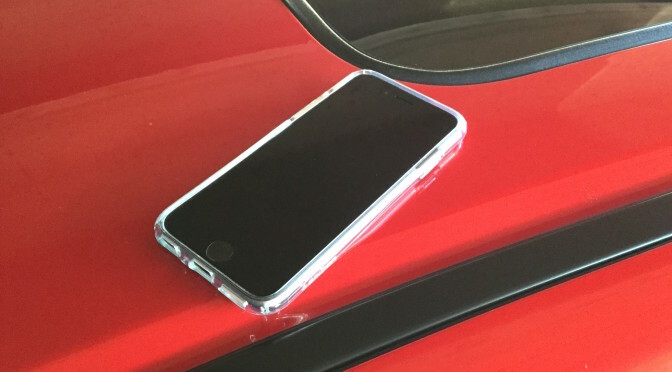 In case you care or plan on letting your phone air out while you drive down the highway, this is the case (Amazon) that saved me from re-purchasing a $750+tax brand new phone. Tuviste suerte, en Monterrey con los baches en la calle de Alaska, seguro no sobrevive ni con kola loca!!!!! Here for the pictures, not the articles.